I did a quick search on Amazon and found they list approximately 175,000 titles for self-help books. Are we all lost that we need that much help? I'm not sure we all need help but we certainly all can use an encouraging word or support now and then. And certainly when we read a self-help book about how someone else has overcome some adversity in their life, we realize that if they can do it, we can do it too. In your bio it says that you are a CSP. Could you explain the meaning of those initials? CSP stands for Certified Speaking Professional. It is an earned designation given out by the National Speakers Association. It signifies that the recipient has presented a certain number of presentations to a certain number of organizations over a certain number of years. It is the speaking profession's measure of professional platform skill. Less than 7% of the NSA members hold this designation. It also shows that you are known as "Mr. Jollytologist." How did you get that moniker? I made it up. "Gelos" is a Greek word meaning "laughter." So since I studied therapeutic humor/laughter to get my Master's of Human Development degree, technically I'm a "gelotologist." But since most people don't know what that is, I changed it to "Jollytologist," which is a little more self-explanatory. 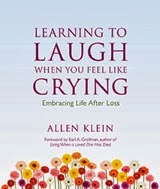 I understand you’ve authored many books using humor to motivate and inspire. When you wrote your first book, did you think it would continue to a multitude of books? 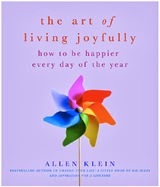 My first book, The Healing Power of Humor, was published in 1989. It is still going strong with 39 printings and nine foreign language translations. The book took several years to write. And, after nine-months of writing, it had to be re-written when I was assigned a new editor who wanted some major changes. I knew it would be a powerful book because of the reaction I was getting from people in my presentations who had heard about how Norman Cousins healed himself by finding humor in his ill health. I had no idea it would lead to some many other books. You have several books on quotations. How did you go about choosing a specific quote? My first motivational quotation book happened because I had so many quotations left over from collecting them for The Healing Power of Humor. The first quotation book became popular after a division of Random House republished the it as a gift book. They then wanted more. I come up with a theme, for example... things that might lift your spirits… like nature, children, pets, etc. Then I go about finding quotes about those subjects. 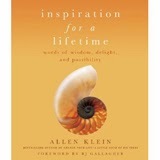 I only include quotations that fit the theme and add to the flow of the book where perhaps one thought follows another. For every book, I have probably only kept half the quotes I collected because they also have to resonate with me. You’ve been with several different publishing sources. What made you move from one publisher to another? Circumstance often dictated the publisher. Sometimes one publisher was bought out by another, so that changed who my publisher was. Sometimes the publisher closed the division that published my book, so I'd seek out another. And sometimes the publisher wasn't right for my book, i.e., they didn't publish gift-type books. What is the best advice you’ve learned over the years about dealing with editors? The best advice I can give about dealing with an editor is to trust your gut. If you feel that the editor doesn't see your vision, or you feel is wrong on an issue, then stand your ground. Why do you think so many people have a problem with staying positive attitude ? I think a lot of people don't have a positive attitude because of what and who they surround themselves with. For example, the news is constantly telling us how bad things are in the world. Yes, not-so-great stuff happens but focusing on that only brings you down. More than ever, we need to focus on what will lift us up. I think it is why my motivation and inspirational quotations books are so popular and why stand-up comedians are some of the highest paid entertainers. We somehow know instinctively that we need to be reminded that the world is not all doom and gloom. I stay motivated by surrounding myself with positive affirmations, positive people/friends/family and a positive faith through Unity's teaching. And being grateful for what I have instead of bemoaning what I don't have. How long have you been doing public speaking at conferences? How do you pump yourself up to do a conference? I've been a professional speaker for over twenty years. I keep fresh because I do a lot of interaction with the audience, so I never know what is going to happen or what they will say. Before I go on, I do some breathing exercises, mediation, and know that it is a higher power that has lead me to do this work. What next books are in the works? 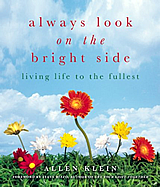 My 20th book will be published in November- Always Look on the Bright Side, and number 21 will be published next year- Having the Time of Your Life. Very cool info. Thank you. I need to remember often to trust my gut.